This map screen will show you the all the jobs to be completed. 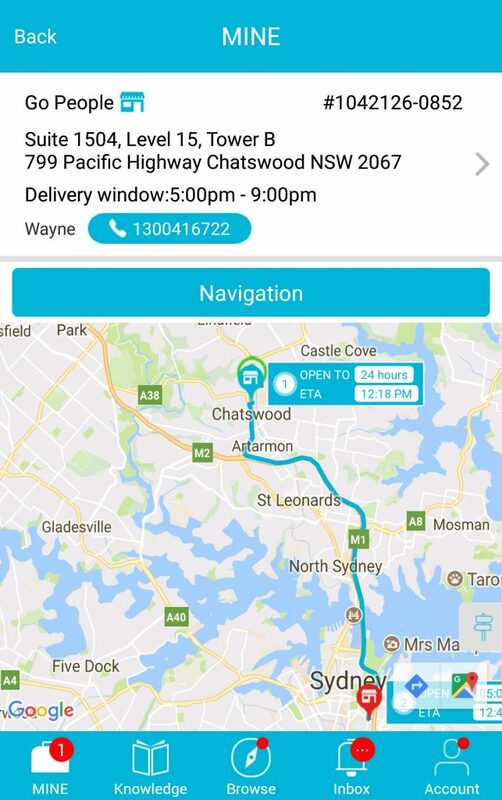 Importantly, it will show you how long the drop-off location is open to (very important in the case that you’re delivering to a school or a business), and an estimate of how long it would take you to get there. The job labelled ‘1’ will be the first job. Click on that. 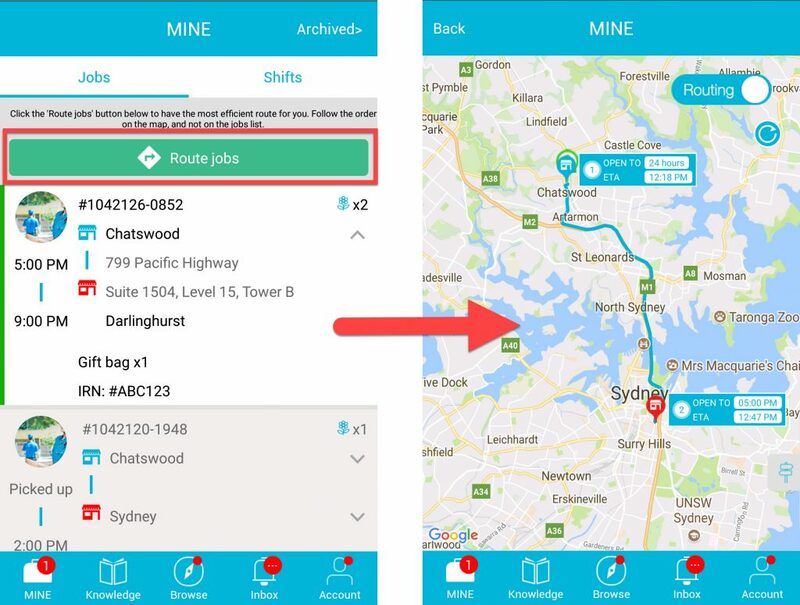 When you do so, you’ll be given detailed information of the drop-off’s address, delivery window and contact. 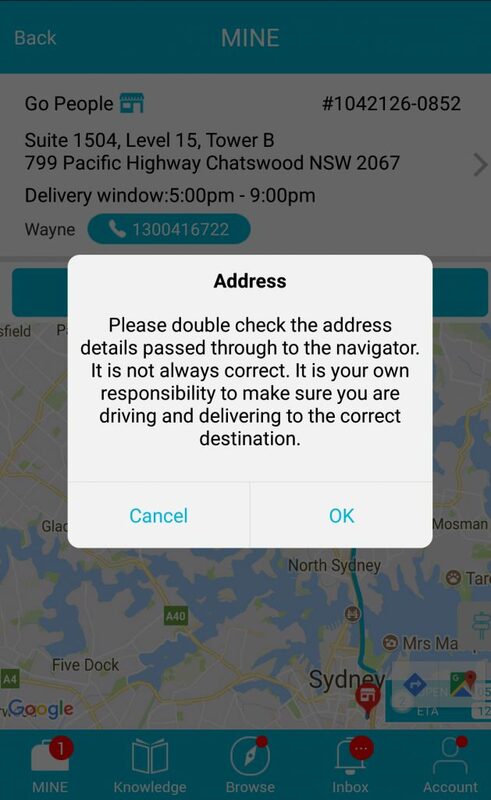 Make sure, as best you can, that the address you’ve been given is correct. If you have any doubts, urgently contact the support team. If you’re sure everything’s correct press ‘Ok’ and move on. Once you’ve arrived at your pick-up or drop-off destination, go through the usual motions that you would go through to complete a job.